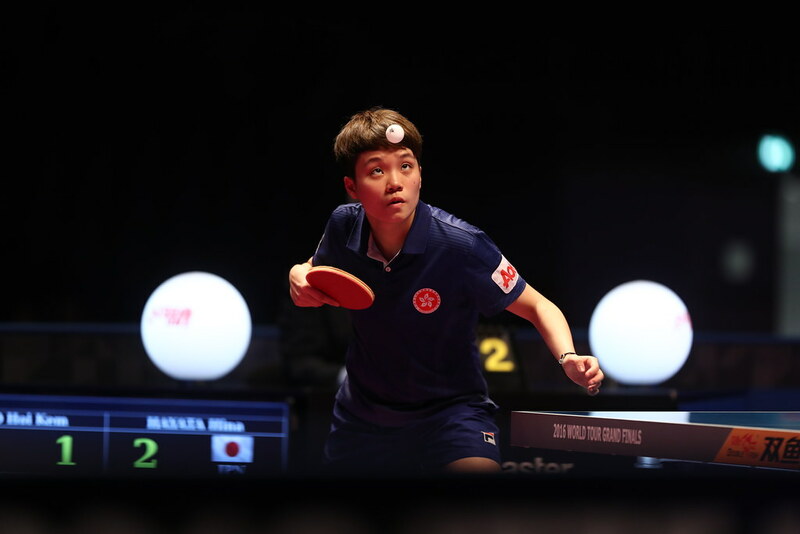 A first appearance in such an exclusive tournament as the 2017 ITTF Pan American Cup, never on duty in the Latin American Cup, facing an opponent for the first time in his career; on the late morning of Saturday 29th July in San José, Costa Rica, Chile’s Gustavo Gomez held his nerve. He beat the Dominican Republic’s Emil Santos in four games (7-11, 11-7, 11-9, 11-9) to reserve his place in the main draw on what proved to be a fruitful two hours for Chile. On the same table, in the immediate preceding match, Felipe Olivares had likewise emerged successful to book second place in his group and thus progressed to the main draw. He overcame Adar Alguetti of the United States (11-9, 11-4, 9-11, 12-10). “It’s the first time I’ve played Emil, I know he’s a good player. I was a little nervous before the match but during the match I was able to stay calm and focused. In the third game I was down 7-9 and won 11-9; in the fourth I was behind 8-10 and won 12-10. Throughout the match I focused on serving short with backspin and the spinning the next ball.” Gustavo Gomez. The previous day Gustavo Gomez had lost to Ecuador’s Alberto Miño, the no.4 seed. He duly completed his first stage matches unbeaten by overcoming Canada’s Edward Ly (11-3, 6-11, 11-8, 11-5). It was a similar situation for Chile’s Felipe Olivares; the previous day he had been beaten by Mexico’s Marcos Madrid, the no.2 seed. He had lost by the very narrowest of margins, almost completing quite remarkable recovery. He trailed 1-7 in the deciding fifth game, before winning the next seven points, prior to suffering defeat (11-7, 8-11, 11-7, 6-11, 11-9). Marcos Madrid, duly completed his initial group phase matches unbeaten by accounting for Guatemala’s Kevin Montufar (15-13, 11-9, 11-8). Both targets were achieved; Kanak Jha beat Mexico’s Ricardo Villa (11-5, 11-5, 11-8), Gustavo Tsuboi overcame Puerto Rico’s Hector Berrios (11-3, 11-4, 11-7). It was to some extent a question of recovery for Gustavo Tsuboi, the top seed, the previous day he experienced defeat in a titanic struggle against Kanak Jha (20-18, 10-12, 11-7, 13-15, 12-10). A main draw place reserved for Gustavo Tsuboi, it was the same for his colleague, Eric Jouti, the no.3 seed. He beat Costa Rica’s Jeison Martinez (11-8, 11-8, 11-7) to maintain his unblemished record. Second place in the group was secured by Argentina’s Gaston Alto; in his concluding group phase engagement he overcame Canada’s Bryan Ho (11-7, 11-4, 14-12). At the quarter-final stage Kanak Jha plays Gustavo Gomez, Felipe Olivares opposes Eric Jouti; in the opposite half of the draw Alberto Miño meets Gaston Alto, Marcos Madrid confronts Gustavo Tsuboi.